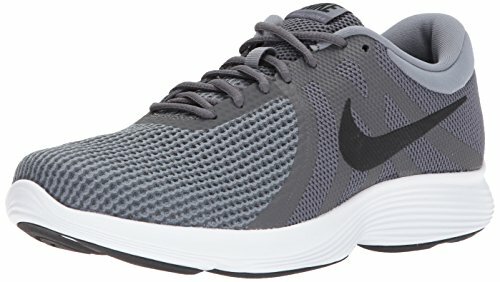 NIKE Men's Revolution 4 Running Shoe, Dark Grey/Black-Cool Grey/White, 10.5 Regular US | What Should I Say? Underlays in the vamp and toe tip offer support and structure. Molded pods offer multi-surface traction. Pods flatten on impact then spring back at toe-off creating a piston effect that delivers responsive cushioning.